Click on cover to view online edition. 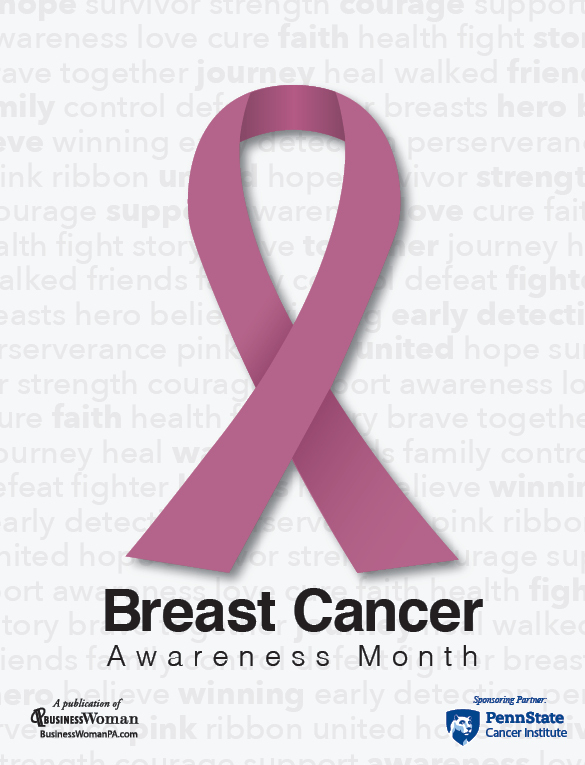 More than likely, you or someone you know has been affected by breast cancer. It’s not surprising considering that besides skin cancer, breast cancer is the most commonly diagnosed cancer among American women. However, death rates have been decreasing since 1990, especially in women under 50. It is believed that the decreases are the result of treatment advances, earlier detection through screening, and increased awareness. Through a multi-media platform, including print, web, and personal communication, Breast Cancer Awareness: United in Hope for a Cure highlights stories of encouragement from area survivors. It also gives insight to progress made in research, treatments, products and services available. It is inserted in the October issue of BusinessWoman a regional professional women’s publication in the greater Susquehanna Valley with a print and online readership of more than 45,000. Additional copies are distributed at key events throughout the year.